Todd and I are always looking for good ways to monetize our web games so we can continue doing what we love: making more games! 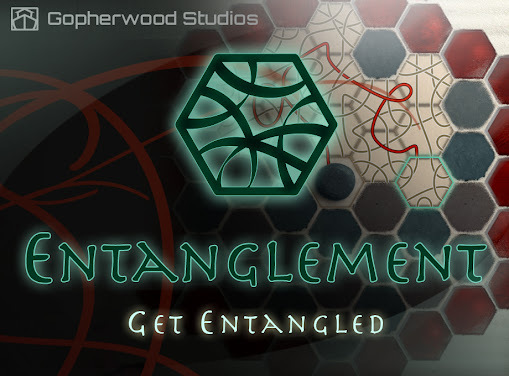 With Entanglement, we created extended content that players can purchase if they really enjoy the game, and with our latest creation, Thwack! 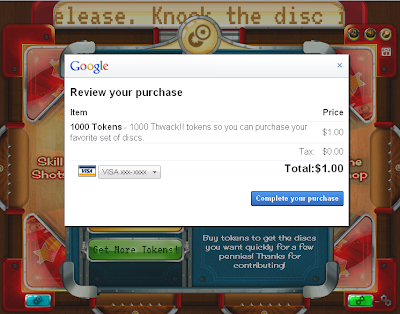 !, we created a reward system using tokens that can be won by playing the game or purchased for a few cents. Back in January when we first released our Sakura Grove Expansion for Entanglement, we implemented an email and key system for purchasing: to access the expansion set for the first time, a player would make the purchase, wait for the confirmation email to arrive, and follow the instructions to get back into Entanglement with the key to unlock their purchase. Not only was the process indirect and inconvenient for purchasing a digital good, but it also took us quite a bit of time to develop and debug. In developing our latest game, Thwack! !, we decided to implement Google In-App Payments. In-app payments are ideal for selling digital goods and the small 5% transaction fee is wonderful for the small transactions common to games. Once our game's store interface was set up, I was pleasantly surprised to find integrating in-app payments very quick and straight-forward. In fact, I first began reading the documentation early one morning, and by following the very concise step-by-step instructions I had in-app payments implemented in Thwack!! by lunch time! We were quite pleased with both the appearance and implementation for Thwack!! so converting Entanglement’s purchase process to Google In-App Payments was a natural next step. However, setting up in-app payments for two separate games on one seller account highlighted something I would need to change with my initially simplistic Thwack!! integration, where I had implemented the entire process, including the postback URL, through the web game itself. Since I was adding a second game on the same seller account, I had to separate the postback process from Thwack!!. After a bit of restructuring, and less than a day’s work, I had In-App Payments running in both Thwack!! and Entanglement with a separate service that tracks orders apart from the games as shown below. 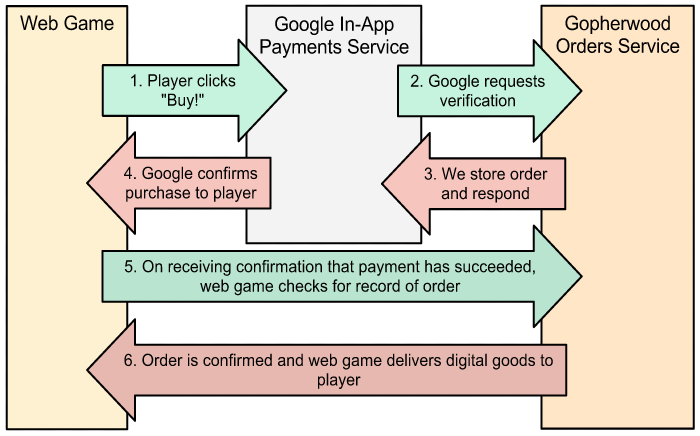 We now have Google In-App Payments running in both games in less than two days’ worth of programming with the additional benefit of a separate central location to track orders. 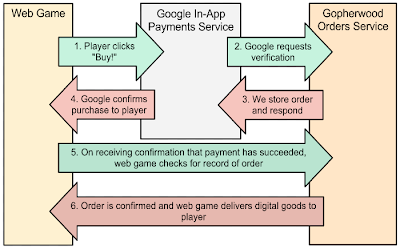 We found that Google In-App Payments is not only convenient for our game players by allowing them to remain in the game experience while making their purchase, it is also convenient for us as game developers by making the integration process quick and easy to implement.